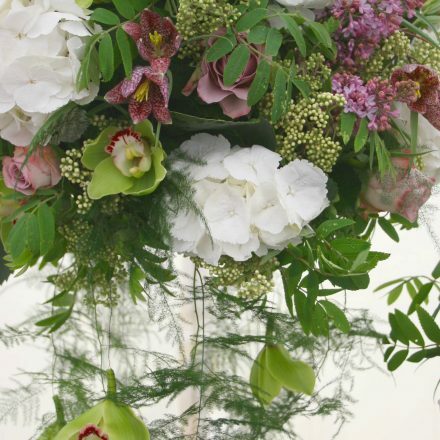 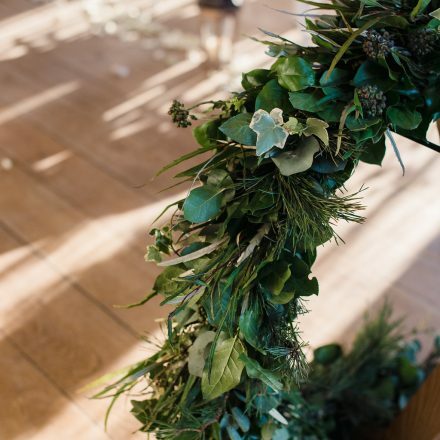 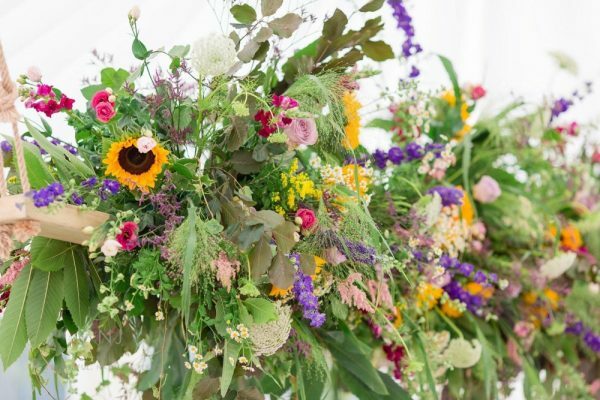 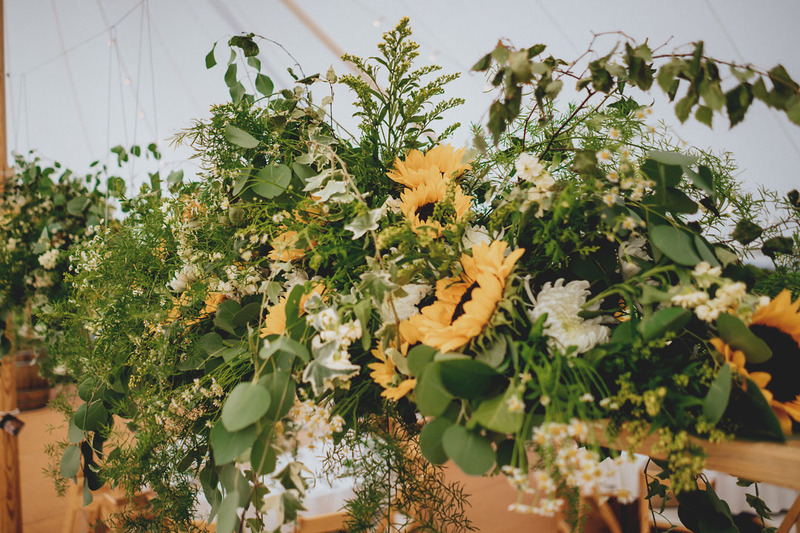 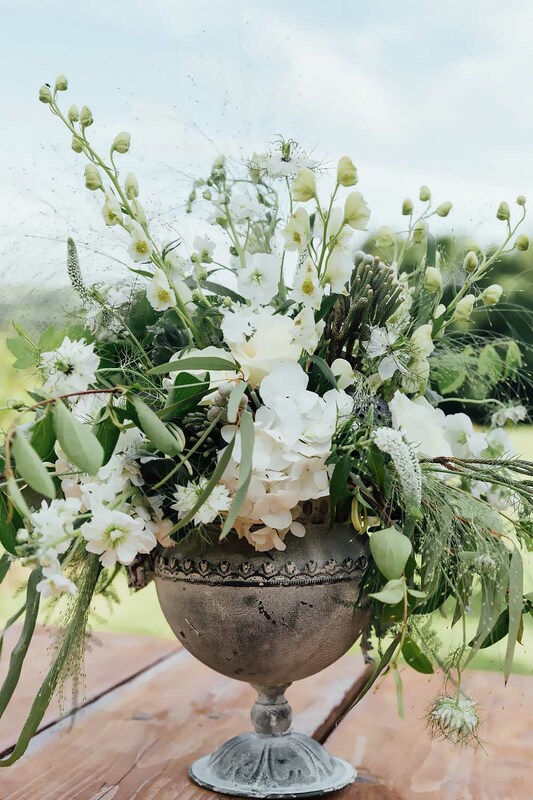 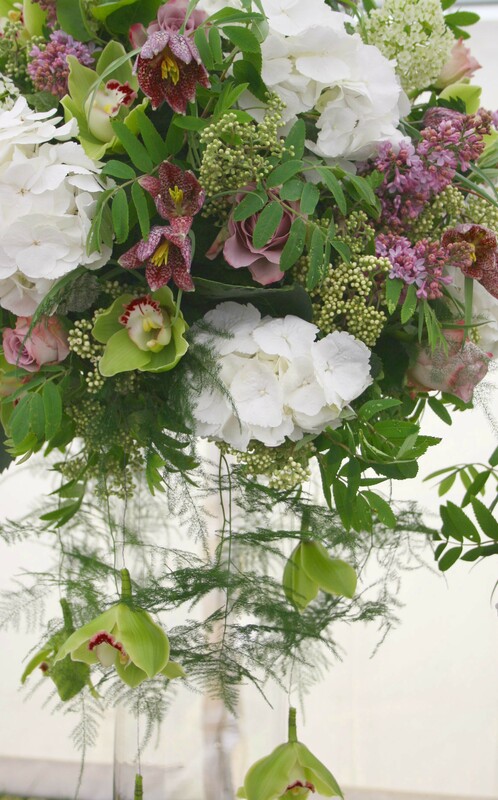 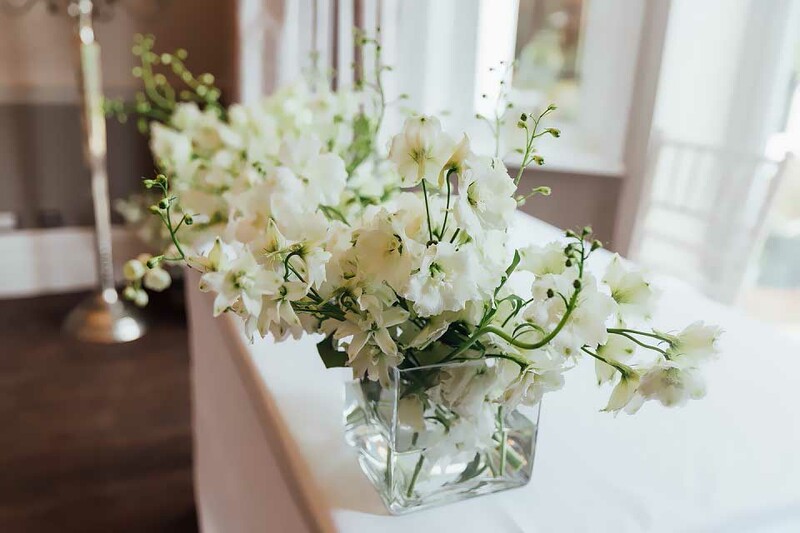 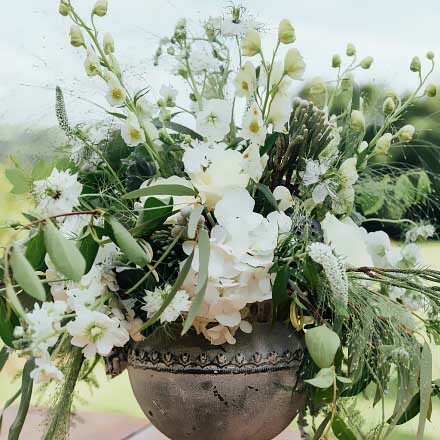 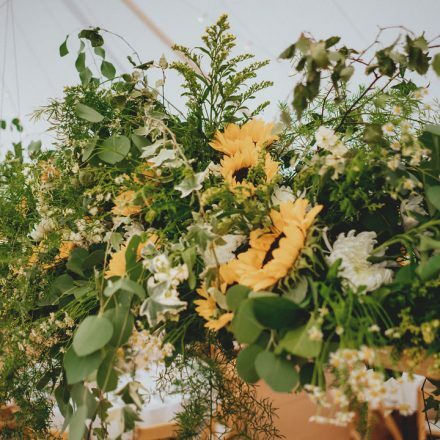 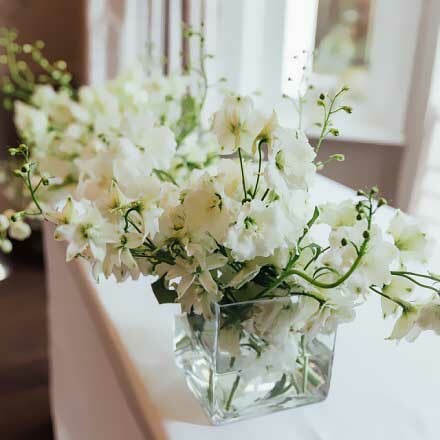  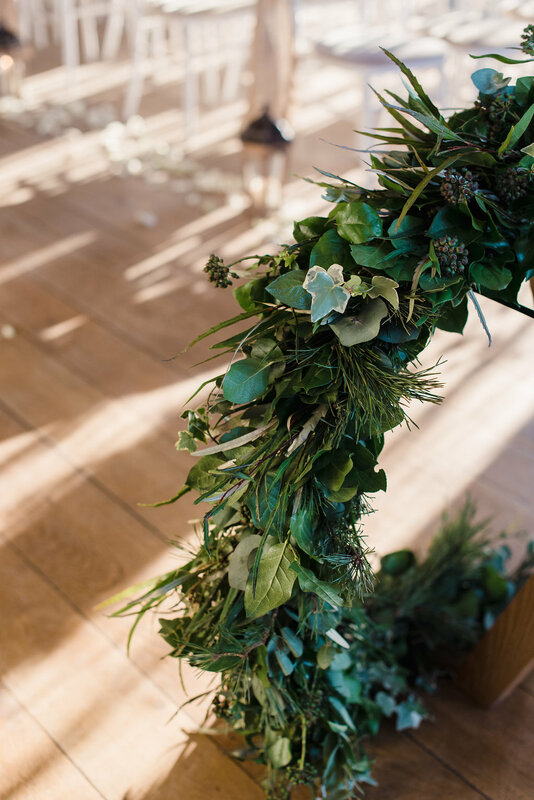 Let the flower & foliage do the talking creating wild, unstructured natural looking flowers… fresh SPRING colours… autumnal & earthy… fresh whites or foliage & seed heads. 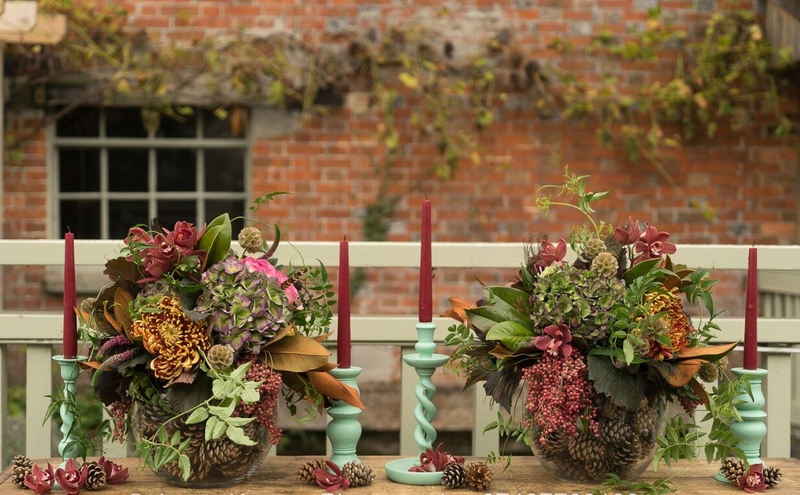 Sumptuous moundy table centrepiece’s with a loose informal feel. 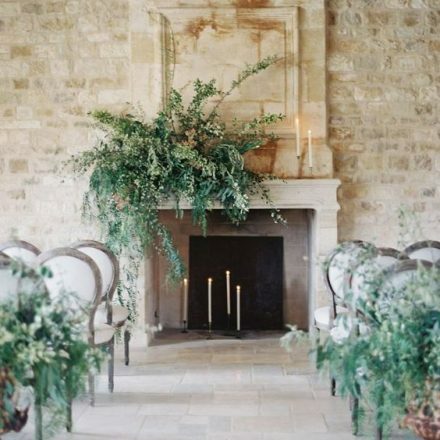 As always the foliage is creating that beautiful textured outdoor feel with seasonal blooms & rustic elements nestled within. 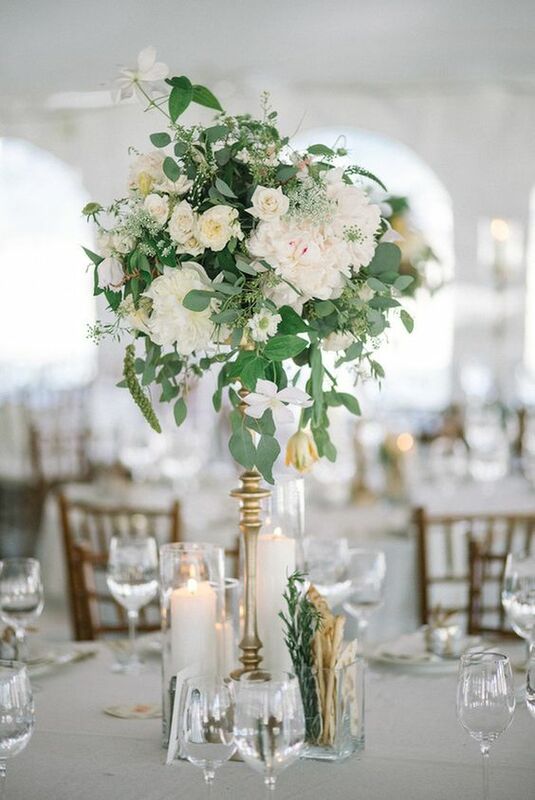 Sat on tall elegant vases or cHUNKY CANDLESTICKS, look stunning as you walk into any room. 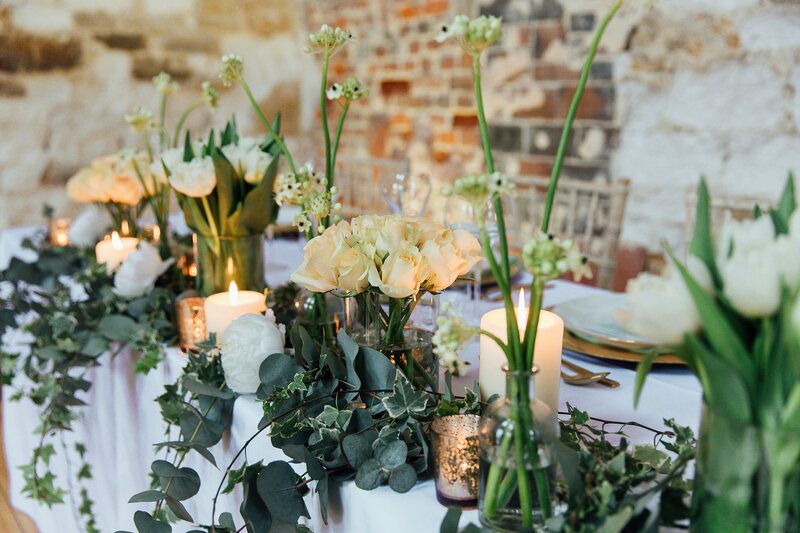 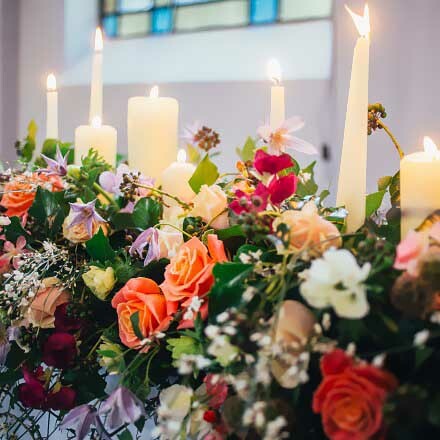 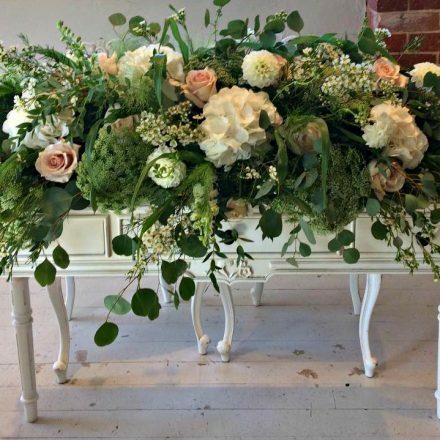 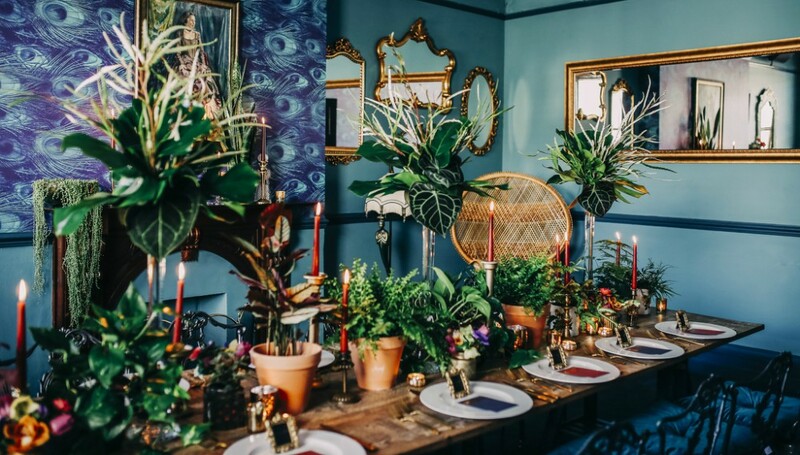 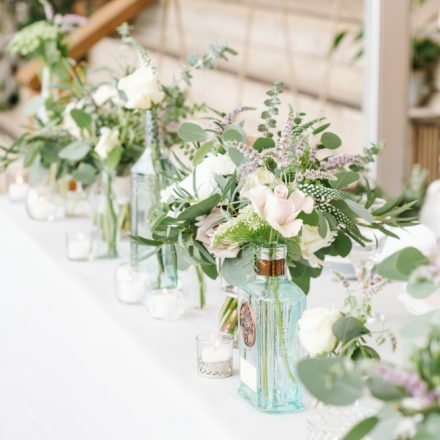 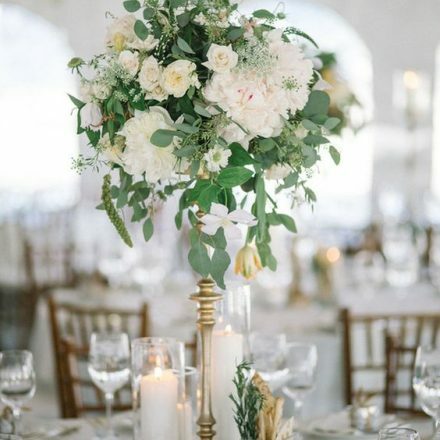 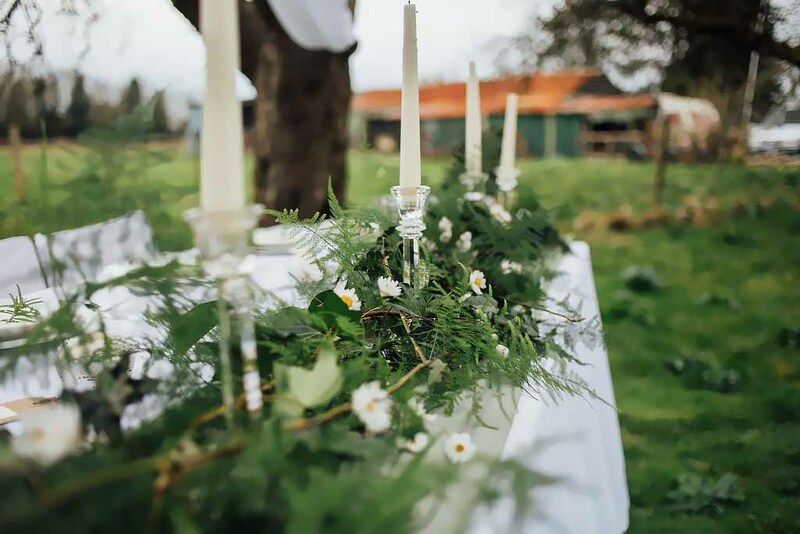 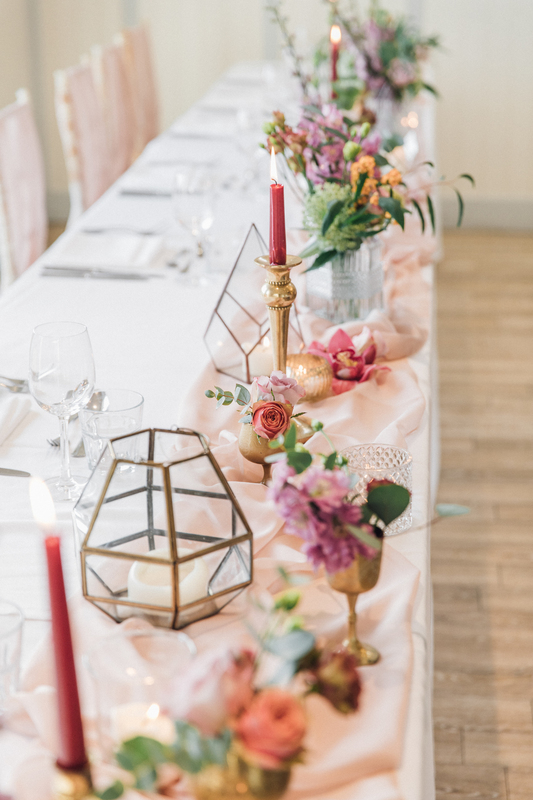 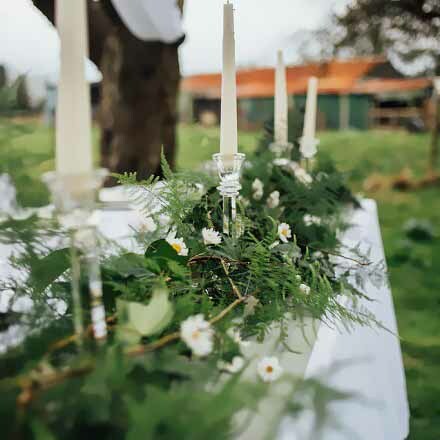 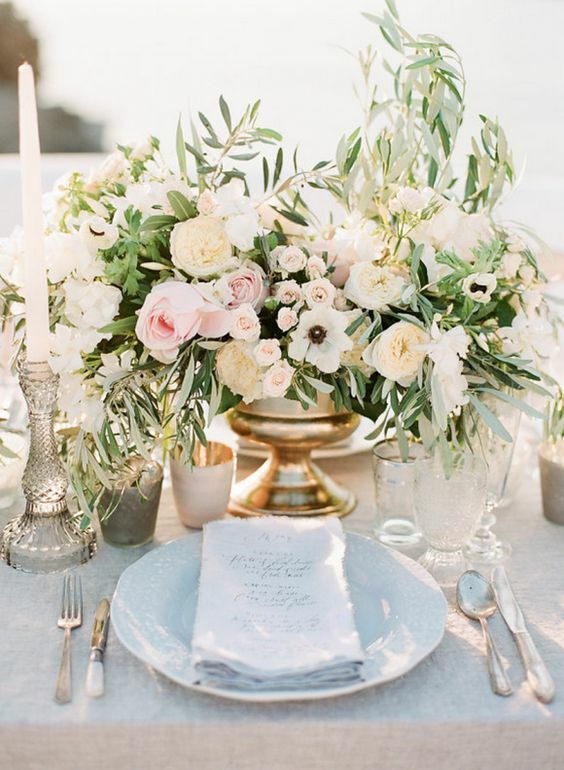 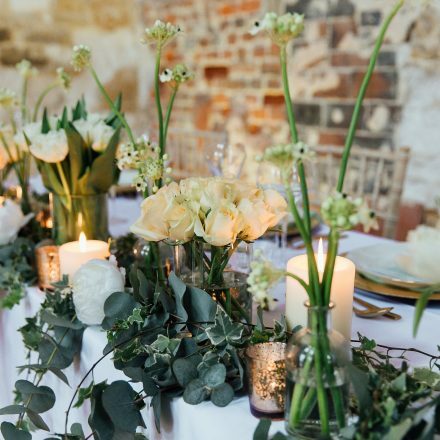 I’m a huge fan of tablescapes… long banquet style tables or top tables with masses of candlesticks AND TEA LIGHTS, little jars and bottles packed with flowers AND FOLIAGE, succulent AND FERN plants, PLUS TALL FLORAL ARRANGEMENTS… it’s all about attention to detail! 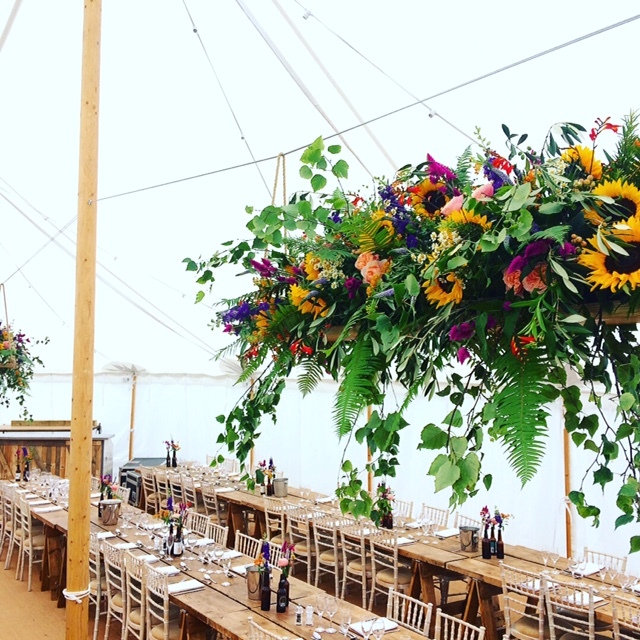 The ultimate wow factor… IF YOU’RE HAVING A MARQUEE WEDDING THEN THIS IS THE WAY TO GO! 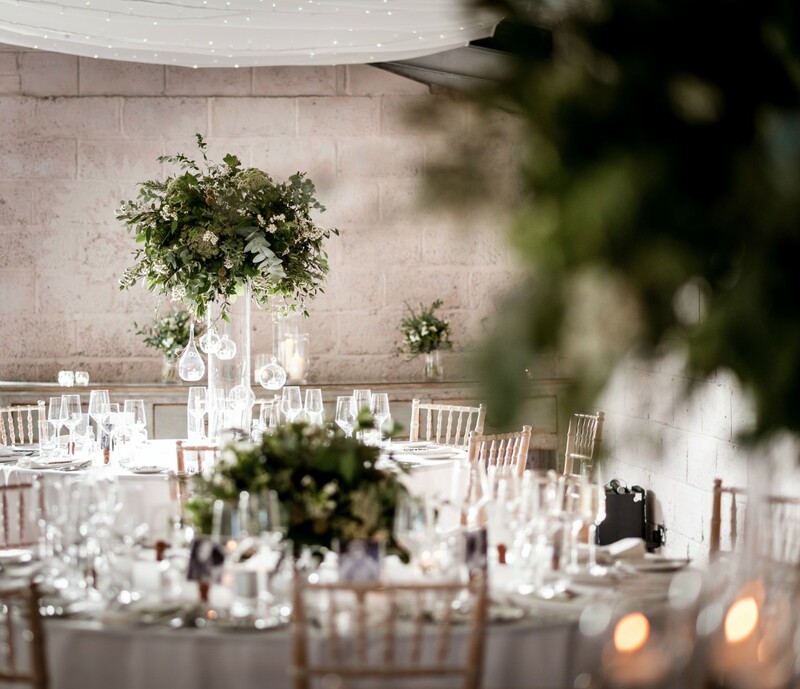 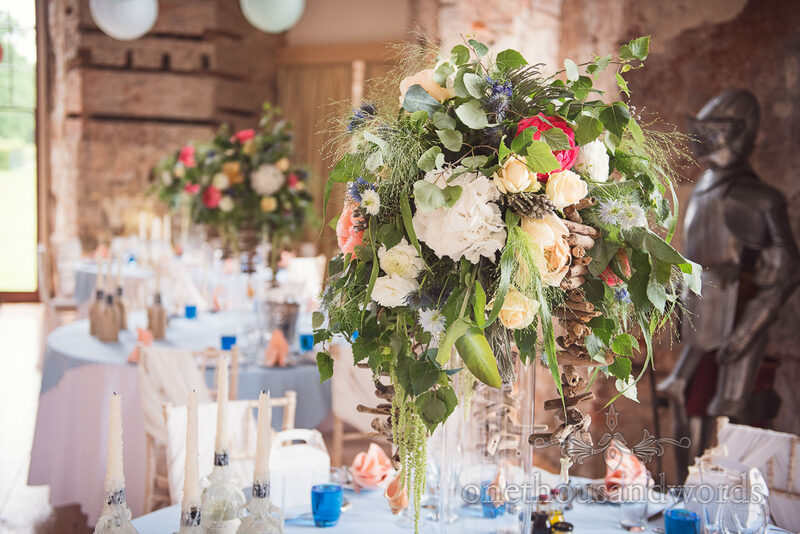 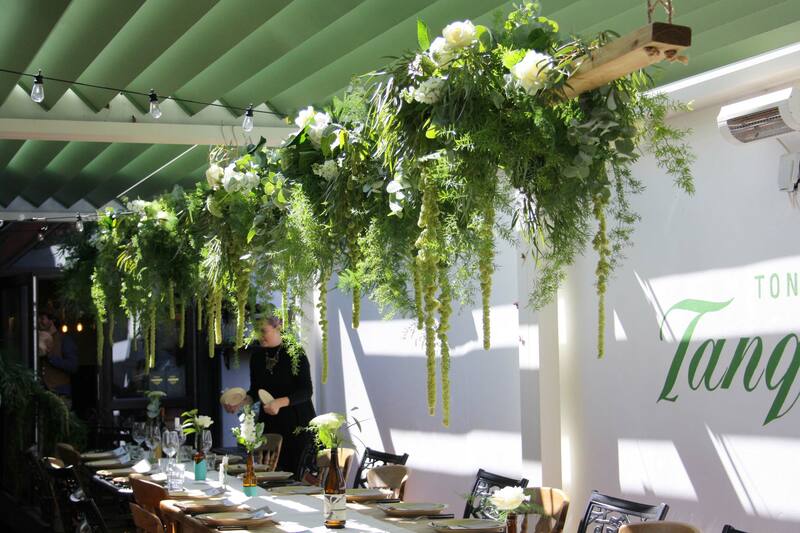 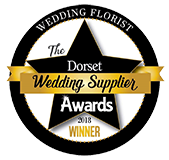 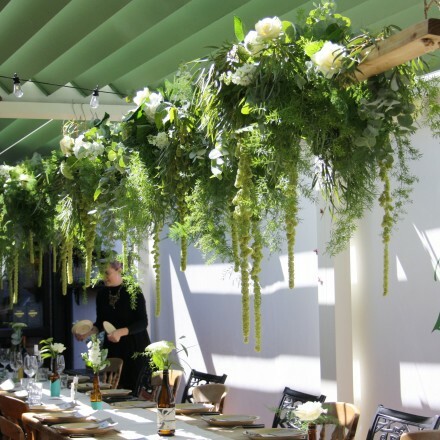 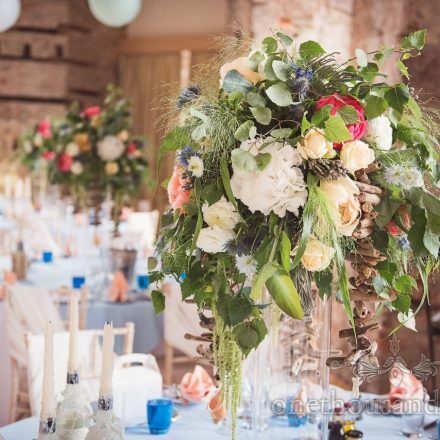 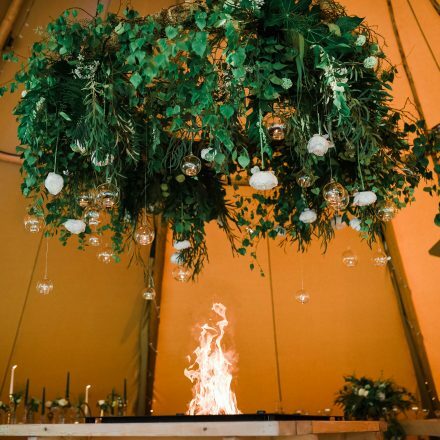 WOW YOUR GUESTS WITH SHOW STOPPER FLORAL SWINGS SUSPENDED ABOVE YOUR TOP TABLE AND LONG TRESTLE TABLES… oR FOLIAGE CHANDELIERS WITH HANGING GLOBE TEA LIGHTS! 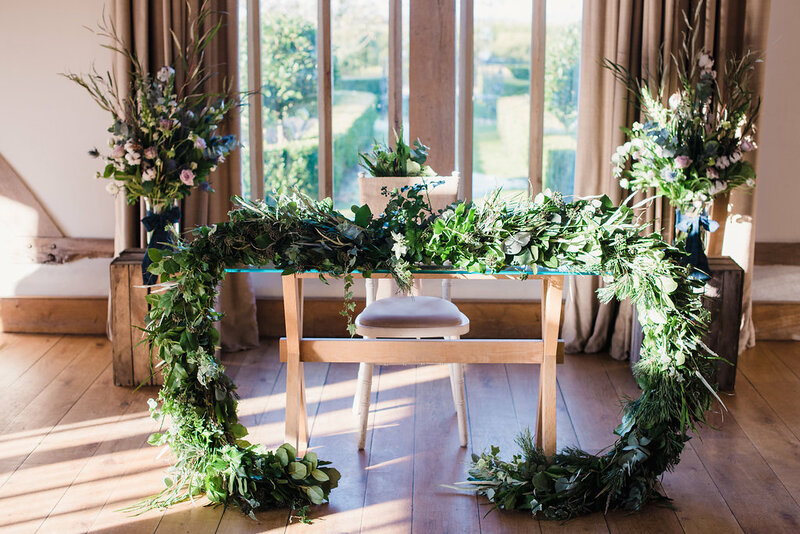 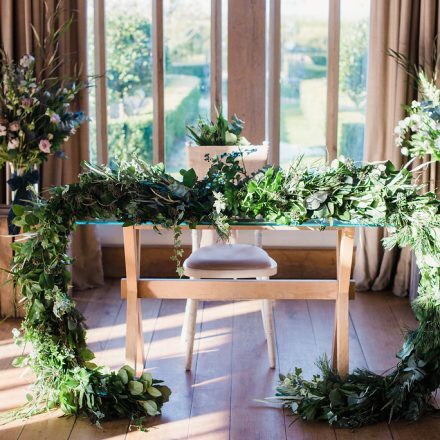 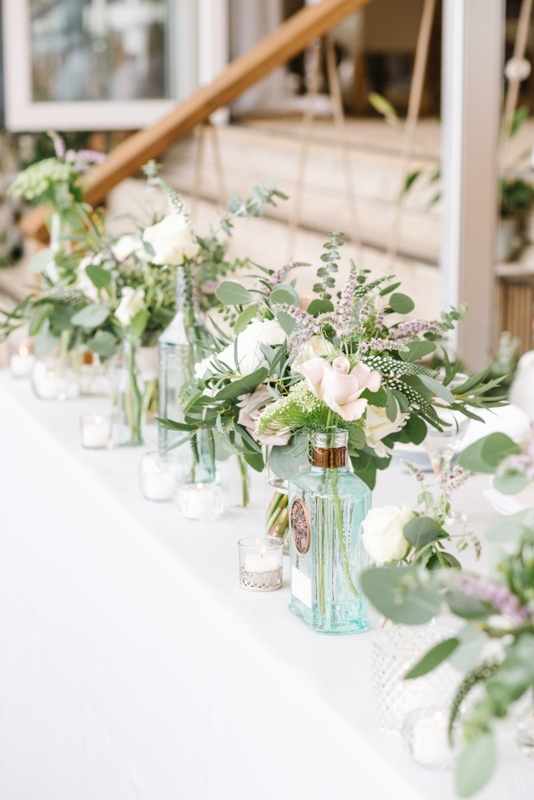 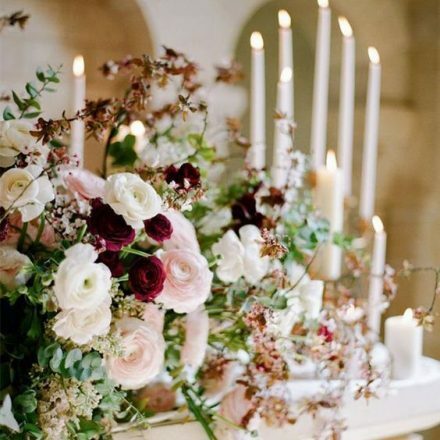 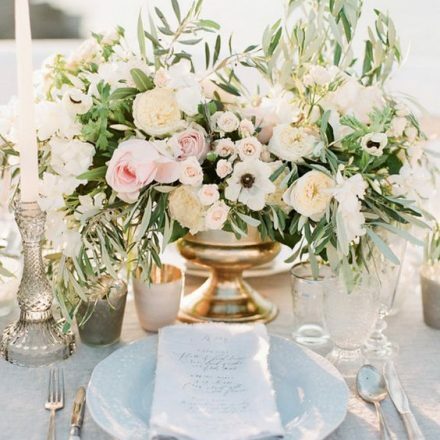 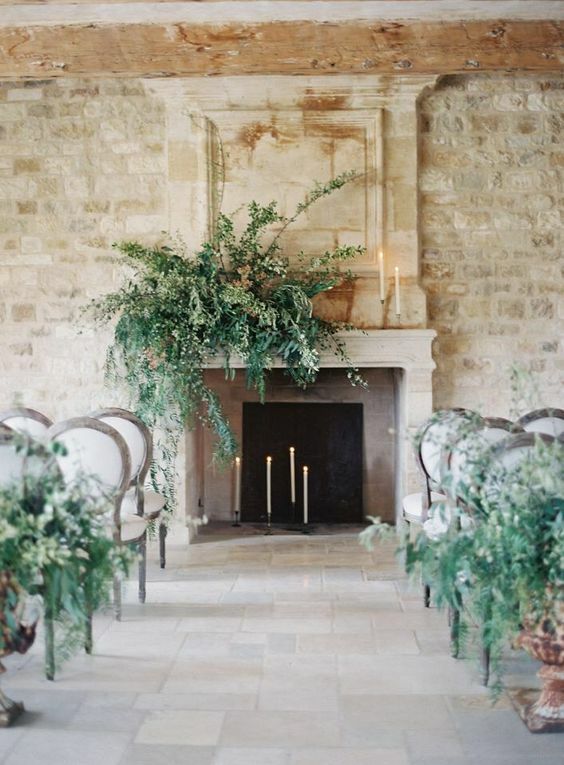 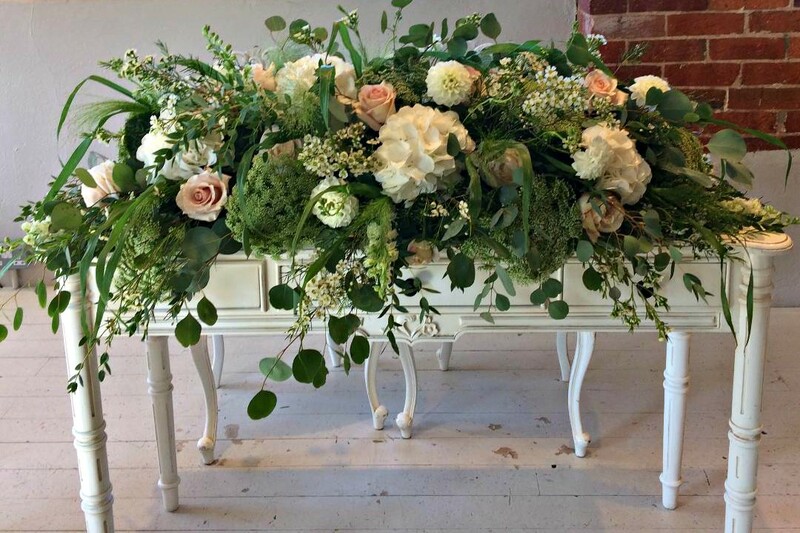 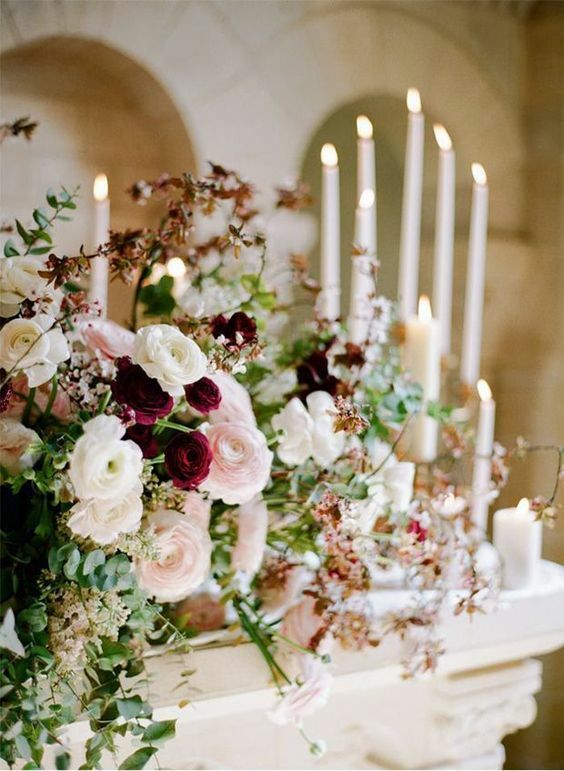 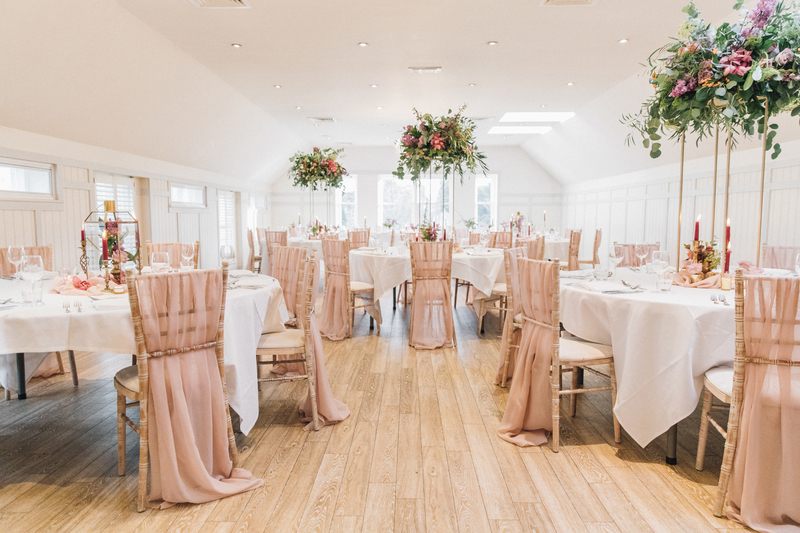 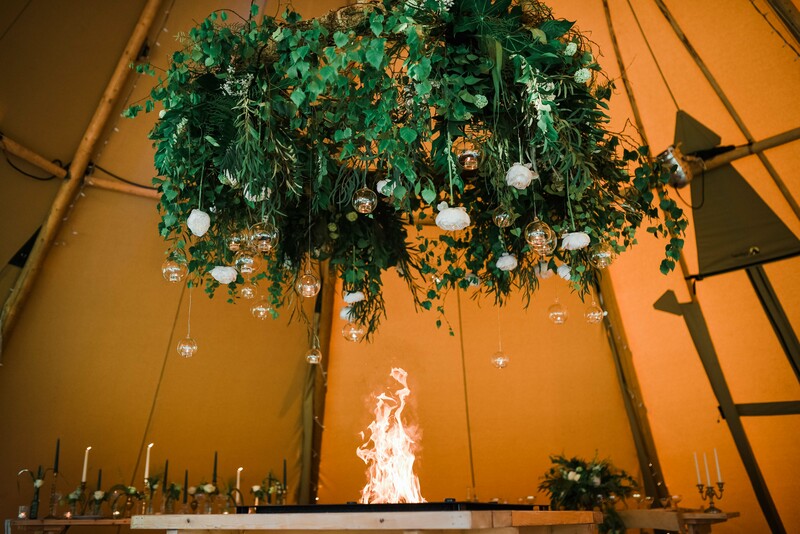 Top table & fire place arrangements…. 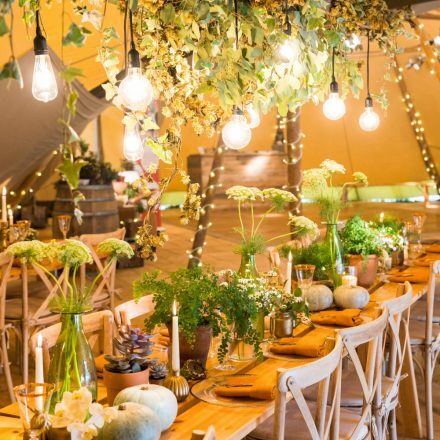 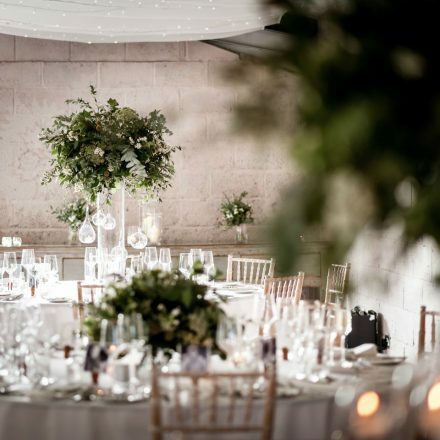 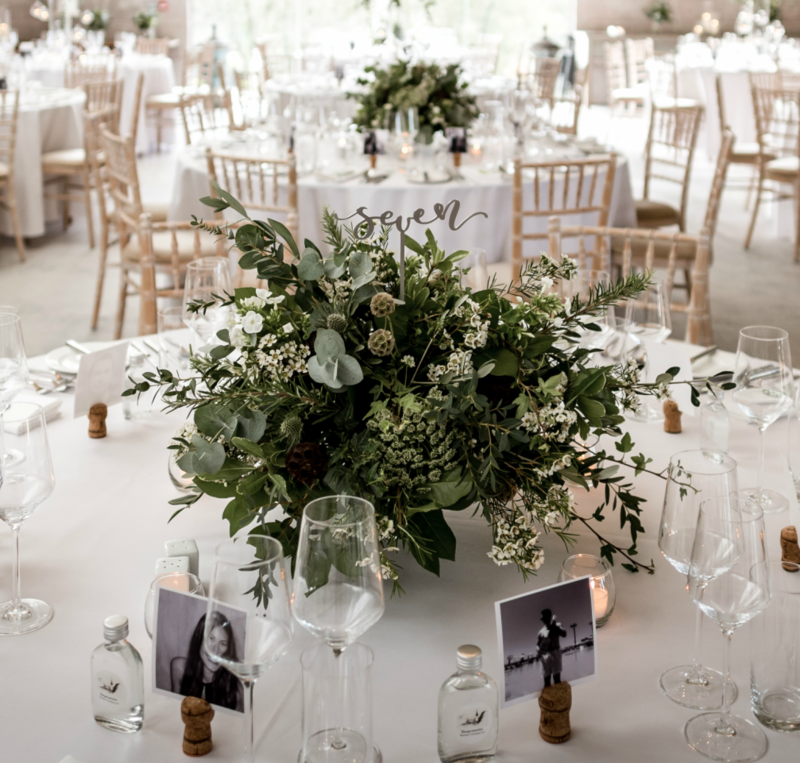 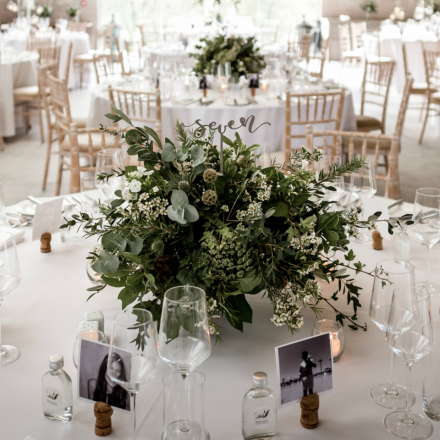 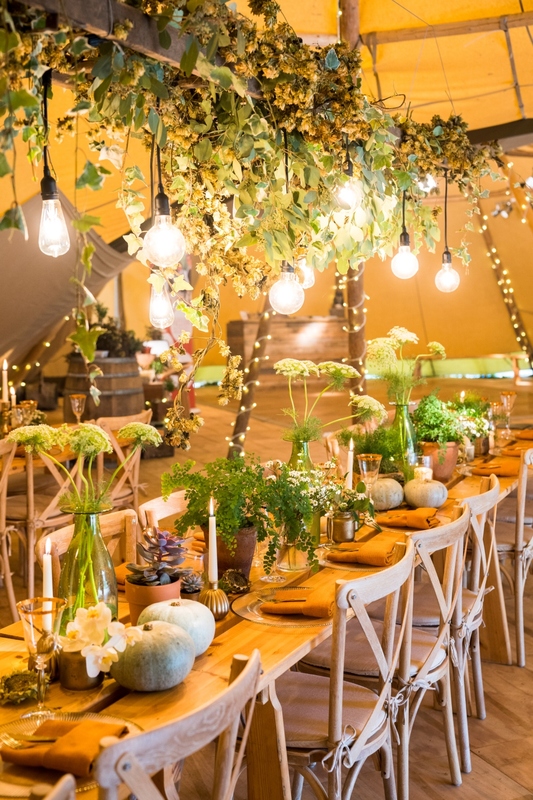 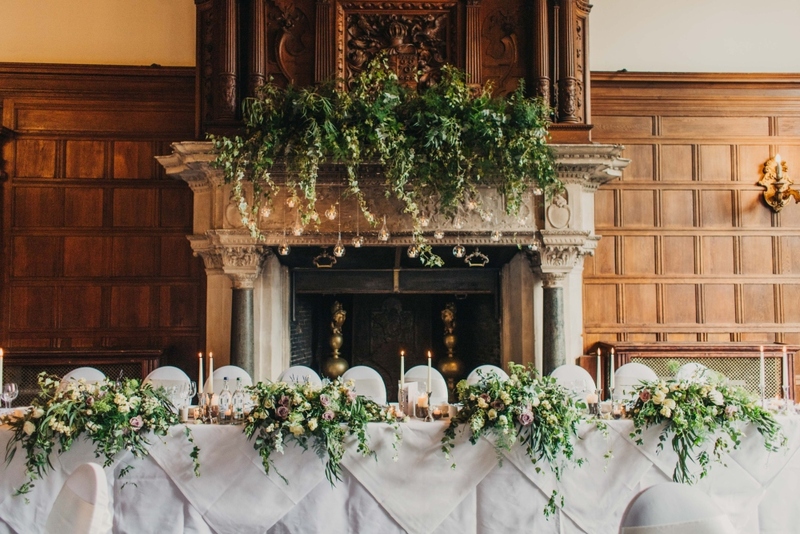 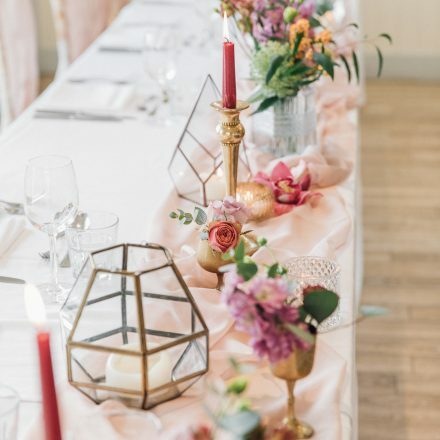 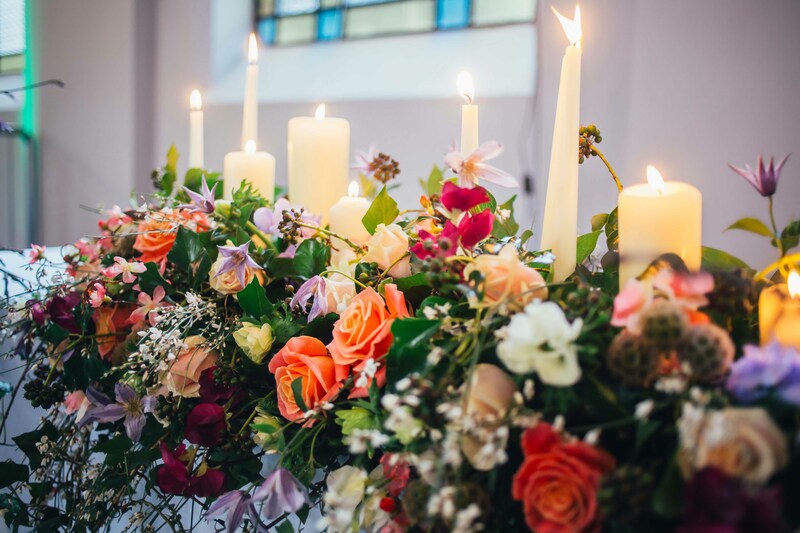 sumptuous top table arrangements filled with TEXTURED FOLIAGE AND SEASONAL FLOWERS PLUS COSY CANDLE LIGHT STYLING… WOW FACTOR FIRE PLACE ARRANGEMENTS WITH HANGING GLOBE TEA LIGHTS AND CANDLESTICKS! 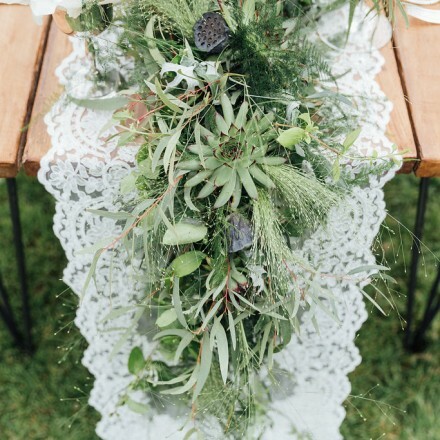 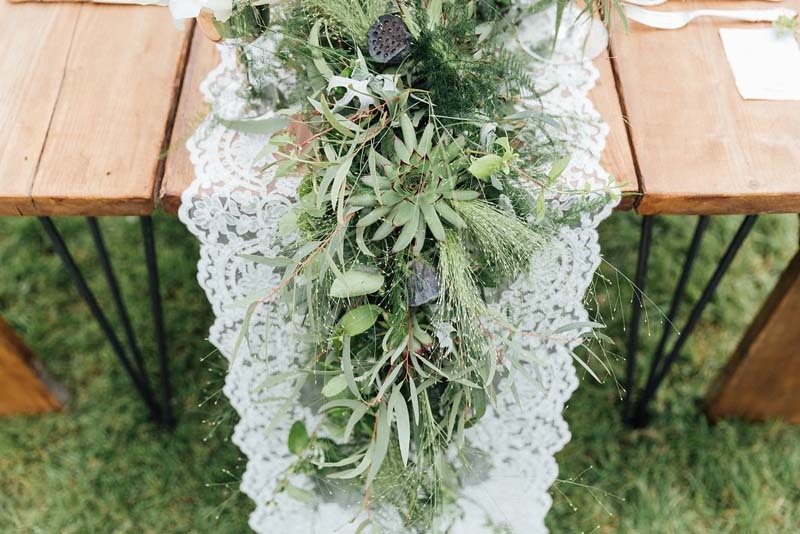 Gorgeous foliage table runners… Loose and light creating a floaty look… textured and varied with succulents and lotus pods… Thick and wintery with bags of texture.